The success of SHARE’s on-the-ground program is a product of landowner support and cooperation, member commitments of staff and technical assistance, engaged regulators, members’ commitment to SHARE’s mission and operating principles, and a cadre of enthusiastic student and professional volunteers, partners and SHARE’s staff. We look forward to continuing in the same spirit for many years to come. SHARE focuses on building and maintaining good relationships. SHARE was formed in 1994 as a cooperative forum where stakeholders could contribute to Atlantic salmon restoration efforts. Goodwill amongst our members is maintained by remaining neutral on political issues and focusing on win-win opportunities. Learn more about who we are. We work collaboratively with our partners to find solutions that are both ecologically and financially efficient. SHARE leverages a variety of funding sources to enable landowners to take on projects they wouldn't be able to do alone. A history of success. SHARE has completed over 250 restoration projects in the last 15 years. Our network of contractors are experienced in habitat restoration projects, allowing us to get work done quickly and efficiently. Due in large part to our excellent relationships, SHARE has been the recipient of numerous awards. Why our work is necessary. The log-drive era dramatically altered the shape of Maine's rivers and streams. Dams were constructed, channels were straightened, and complexity was reduced in an effort to make it easier to get lumber downstream. The number of road-stream crossings has increased dramatically since the 1950's, as Maine's timber industry shifted it's means of extracting wood from rivers to roads. While hydraulically sufficient, many of these crossings affect natural stream processes. Individually, the effects may be negligible; cumulatively, they're dramatic. Atlantic salmon are endangered, and unless we work to rehabilitate their habitat, it's unlikely that they'll recover. We've already improved over 2,800 habitat units; more will be required. Open-bottom arch culverts and bridges span the bankfull channel width of the stream, allowing natural stream processes to occur. In addition to restoring the stream's capacity to move nutrients and sediments, fish passage is often dramatically improved. Open-bottom arch culverts and bridges are relatively maintenance free, and once installed, can be left untouched for upwards of 70 years. Large woody debris additions help to address the lack of naturally occurring wood in Downeast Maine's streams. Additions increase the rate at which streams develop complexity, allowing for more numerous and varied habitats for the species inhabiting the stream. Clamshell additions are a cost-effective means of buffering pH. Many of Maine's watersheds lack significant levels of basic pH buffers. Combined with acid rain and backwaters which form peats and bogs, this often results in highly acidic streams that aren't conducive to insect or animal life. By adding clamshells, we create more pH neutral environments which benefit the local fauna. Education. SHARE works with local schools and colleges to provide students with restoration experience and an understanding of why it's important. We help others to understand how 'natural' streams should function, why they don't, and how to fix them. Project SHARE's habitat restoration program is based on a process based, focus area approach where priority focus areas are identified with the assistance of state and federal fisheries biologists. You can find out more about our approach here. Steve was named a 2012 USFWS Recovery Champion for his contributions to the recovery of Atlantic salmon in Downeast Maine. 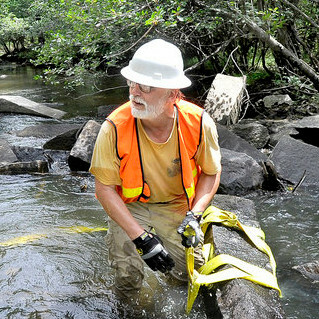 The award was presented not just for his work restoring fish passage and natural stream hydrology, but for fostering collaboration among those involved in restoration efforts in Maine. Read more here. In 2010 The West Branch Machias River was named one of NFHAP's '10 Water's to Watch'. The list identifies bodies of water that are improving through the conservation efforts of regional partnerships of community groups, nonprofit organizations, local watershed groups, Native American tribes, and state and federal agencies. More information here. 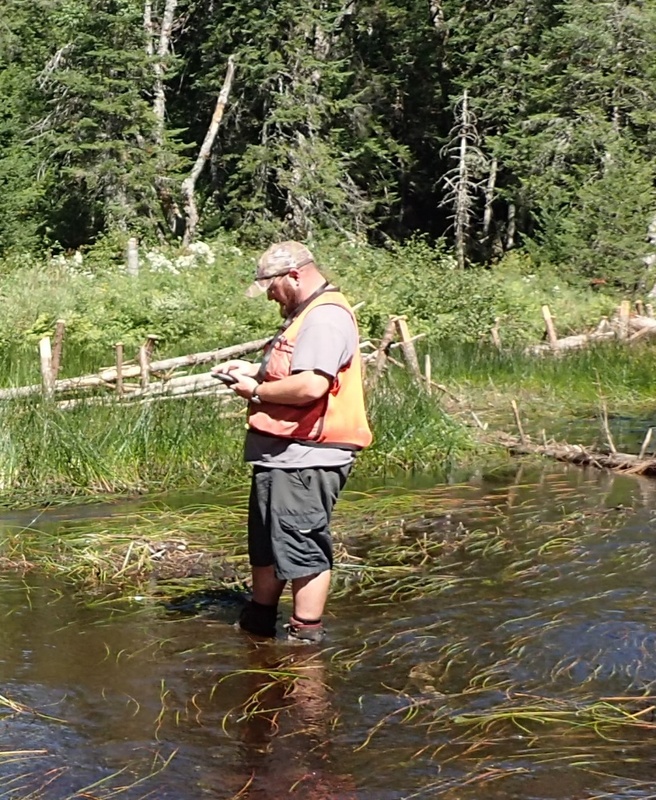 In 2009, the restoration efforts SHARE helped facilitate in Downeast Maine was recognized with NFHAP's "Award for Extraordinary Action in support of fish habitat conservation.". At the time of the award, over 140 road-stream crossings had been replaced, 30 culverts decommissioned, and 15+ log drive dams had been removed. The NRCS Cooperative Conservation Award was awarded in 2006 in response to the collaborate efforts SHARE had been a part of in Downeast Maine. In 2005, Steve was awarded the American Fisheries Society's "President's Fisheries Conservation Award.". Later that year, Steve awarded again with the USFWS Assistant Director's Conservation Award. Steven has been acting as SHARE's Executive Director since 2001, and as a general contractor for its restoration program since 2005. Chris has been working full-time as SHARE's habitat restoration project manager since 2017. Before that he worked seasonally as a SHARE crew member and as a contract fisheries technician for Maine DMR Division of Sea-run Fisheries and Habitat. Joan is a retiree who works part-time for SHARE as the Senior Scientist for Narraguagus Watershed Restoration Project. She worked as the senior salmon biologist for Maine DMR Division of Sea-run Fisheries and Habitat and its previous incarnation, Maine Atlantic Salmon Commission.